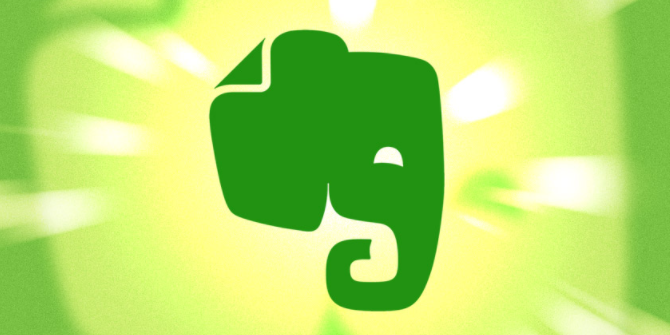 You’ve been using Evernote for years, with your entire life stored on your account. Everything used to work so well. But that meticulous notebook structure is now nothing more than a blight on your existence. Trying to find a specific note? You may as well try to find a fart in a windstorm. But remember, the problem doesn’t rest with Evernote here. Evernote is actually an incredible tool. You’re just organizing your notes in a way that can’t be scaled. There is a solution, though. And it’s a solution that can work for anyone, no matter how many notes you’re trying to keep on top of. Evernote has three layers to its organizational structure. It’s pretty simple, but you need to understand it to get the most out of the app. First off are notebooks. These are like “folders”, where you save individual notes. Next are stacks. These are like parent folders to help better organize your notebooks. When most people start using Evernote, they fixate on these notebooks and stacks. It’s probably a hangover from organizing your files on Windows in the same way. But Evernote’s notebooks and stacks have two main problems. Notebooks can’t be nested. This means your organizational structure can only be one level deep. In other words, you can have a child folder within a parent folder. But you can’t have a child folder within another child folder. Second (and most frustrating) is that you can only place each note in one Notebook. If you have a note that’s relevant to two notebooks… tough. You can only choose one. As your library of notes grows, these problems are almost guaranteed to turn your otherwise organized notes into a complete mess. Luckily, Evernote has a third organizational tool: tags. You can assign descriptive, searchable tags to each note to help granularly organize your notes. You can also nest these tags, and assigned several tags to each note. Problem solved. If you have a complex system of notebooks, your first challenge is to narrow these down to as few as possible. Before I reorganized my own account, I had over 40 individual notebooks. Now I have five. You, however, might choose to have only two or three. These new notebooks are simply a way to organize everything extremely broadly. The real organization comes later. The most important of your few notebooks should be the initial notebook created for you when you set up your Evernote account. By default, this is named “[Username]’s Notebook”. Rename this to something like “-Inbox” or “-CollectionBox” to make it more descriptive. Tip: Placing a symbol like “-” before the notebook name keeps the notebook at the top of your notebook list. This notebook is where you’ll save pretty much all your new notes by default. When you create a new note through the mobile app or grab a screenshot with Evernote’s Web Clipper, these should all be dumped into your “CollectionBox”. This saves you the hassle of tagging each and every note as soon as you create it. It’s far more productive to batch process that tagging every week (or month). Having all these new notes in a single notebook like this makes tagging quick and simple. You should create any other notebooks sparingly. The more notebooks you create, the longer it will take you to decide where each note belongs. And the harder it’ll be for you to locate notes later on. Since this new system relies so heavily on tags for organizing notes, notebooks are barely needed. If you take this to the extreme, you could create just one other notebook called “FilingCabinet”. Tip: Avoid placing spaces in your notebook names and tags. This makes searching a lot easier. After you tag each note in your “CollectionBox”, just move it over to your “Filing Cabinet”. This way, you’ll always know where you’re up to. And if you have a decent tagging system, it’s easy to keep a huge number of notes organized with just two notebooks. More on this later. I chose to create a few other notebooks, however. Ideas — Any notes detailing ideas I want to save, including article ideas, places I’m hoping to travel to, etc. Personal — Where I store non-work related notes. Reference — Where saved articles, book notes, screenshots, quotes, PDFs, receipts etc. are stored. Basically, any “knowledge” I might want to find in the future. This is by far my largest notebook. Work — Where I store any work-related notes. Your own notebook structure will be different to this, for sure. Just be mindful of creating notebooks sparingly. The more notebooks you have, the harder it is to keep everything organized. As I said, your notebooks should just be the broad foundation of your Evernote structure. The essence of your system should rely on tags. The unscalable option here is to tag notes with a couple of rough topics, and hope you remember these tags in the future. Good luck with that! The scalable option (a small sample of my own tags is below) is far more elegant. What area it relates to, broadly speaking; preceded by “1”. What type of content it is; preceded by “2”. What theme(s) it covers, more specifically; preceded by “3”. The system I’m advocating does just this. When I tag each note using this system, I know I want to tag these three specific things about it. Each note should have at least one tag that relates to each of these three points. This makes it very easy to sort and find notes on a granular level. For example, when I review the below highlight from Jack Kerouac’s book On The Road, I can see at a glance that I’ve tagged all three points. This is a personal note (meaning it’s not work related), it’s a book note, and it’s on the topic of life and travel. Your own individual tagging taxonomy will be different to mine. But a relatively similar structure is an extremely scalable way of organizing your notes. It takes some time to get used to this, but it’ll soon become second nature. When it comes to finding notes in the future, there are two features that are especially useful: the search bar and saved searches. When using the search bar, you can search multiple tags to find exactly what you’re looking for. Let’s say you remember saving a note from a conversation you had with a friend about traveling to Brazil. If you tagged this note properly, the following search would pull up that specific conversation. This is the real beauty of using this kind of tagging system. Searching for a quote about politics? No problem. Tip: Placing numbers before tags like this helps you to know that you’ve assigned tags for each of the three areas relating to each note. This ensures you cover all angles to help you find the notes in the future. For searches you find yourself performing routinely, set up a saved search. To do this, set up your search. At the bottom of the search box, you can also add other parameters such as notebooks, tags, keywords, etc.. Below, I’ve set up a saved search for ideas relating to work. When your search is complete, on Windows click File > Save Search, On Mac click Edit > Find > Save Search, and name your search. From now on, when you click the search box, you’ll see a link to that saved search to pull up the results instantly. You can also drag the saved search over to the shortcuts widget for even easier access. There’s no point spending more time tagging your notes than is necessary. Luckily, you can automate this in a few areas. The main way of doing this is by using the automation platform IFTTT(if this, then that). You can use IFTTT to connect different services to your Evernote account. You can then tell the platform to save certain kinds of notes to certain notebooks. It can even assign specific tags. I’m also addicted to reading articles on Instapaper, and take a ton of notes on what I read. It therefore makes sense to have another automation set up that saves all of my Instapaper highlights to my CollectionBox notebook, with the tag “2contentnotes”. This saves me some time when it comes to tagging everything in my CollectionBox each week. To see a more comprehensive list of how else IFTTT can work with Evernote, see here. Save pretty much all of your notes to a “CollectionBox” notebook. What the note relates to. What type of content it is. Move the note to one of the few notebooks you’ve set up. Use these tags to find specific notes in the future. This tagging system (or something like it) can help you locate specific notes in flash. It keeps everything far more organized than most other systems out there. And it stays organized no matter how many notes you have. If you decide to go ahead with a system like this, it will take some time to re-organize your Evernote library. But once you’ve got into the routine of tagging your notes like this, you’ll start to realize just how useful Evernote can be. Is this a system you think could work for you? If not, how come?